Dahlia is a true beauty with radiant golden eyes. She is active mixed breed pup; we think she may be a Border Collie/Belgian or German Shepherd, especially given her intelligence and the way she literally PRANCES! 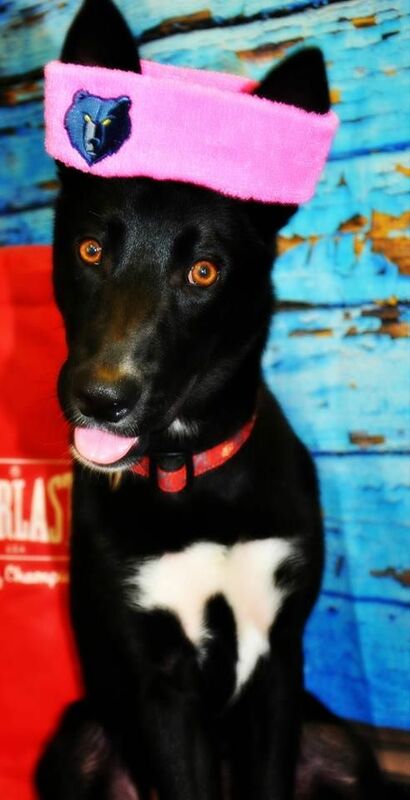 She was rescued in late June from Brownsville TN. She was found starving, flea infested and with ears that were infected from fly strikes. She was only 14 pounds and within 4 weeks was already up to 35 pounds! The first few days she guarded her food but she quickly discovered that food was a given in her new life. 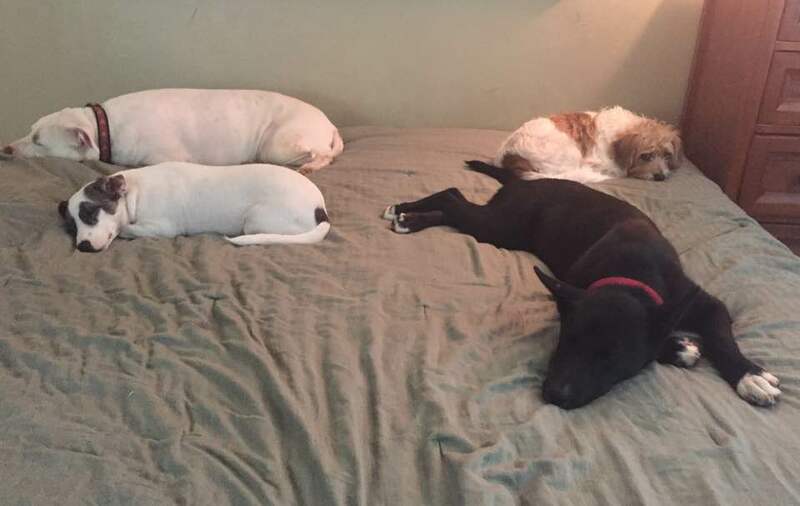 She has adjusted well to her life as a foster dog, and is doing great with the other animals in the home. Dahlia loves to run and play. She has become very comfortable, showing her silly, fun puppy side. She is a good girl and is easy to redirect. She would do best in an active home with someone who wants to run or hike with her. In the beginning, if not exercised enough she paced and had difficulty settling down. She still needs exercise but has also learned the value of sleeping in and snuggling. She has already learned sit and stay. She is working on house training and does well when she can be taken out regularly. Dahlia is an affectionate and happy dog. She is one that will love her person wholeheartedly and will want be by their side. She will most like be around 50 pounds at maturity. Dahlia is fully vetted and ready for her forever home! !